Memorial at: A trophy, for Baton Twirling, has been dedicated in her name. We miss you, John, Jarrad and Vicki. 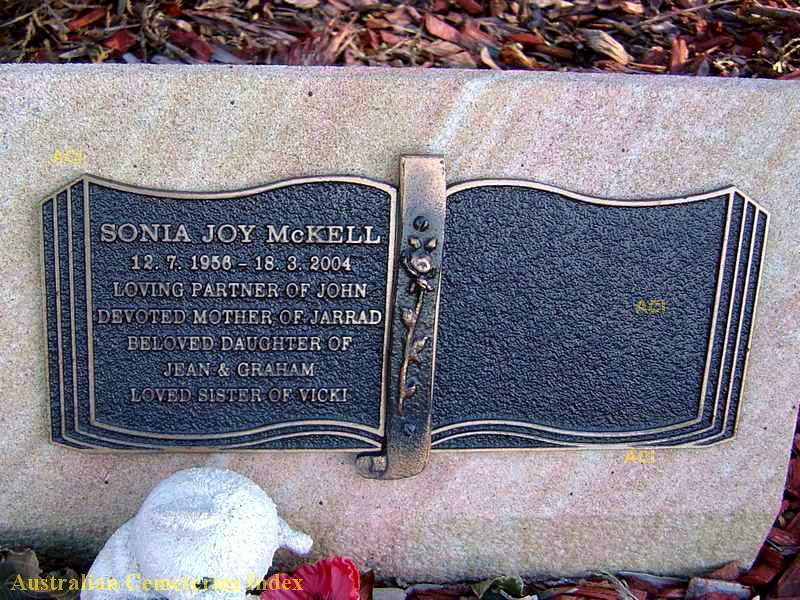 Sonia Joy McKell married in October 1980 and changed her surname, departmentally, to BISCOE. She served at the School Lecturing Section based at Granville Police Station; then to the Redfern Police Academy – chief Instructional staff – as she was a champion ‘ Marching Girl ‘ before joining the job. ; a period at Liverpool Police Station; back to the Police Academy – as the Parade Sergeant. Here she was the first female parade sergeant when her sister (Vicki) was sworn in as a member of the NSW Police Force. ; also served a short period at Canterbury; and the only other location known is Marrickville Police Station. Hundreds of police officers and their families will today gather at the Domain in Sydney for National Police Remembrance Day, to pay tribute to colleagues who have died in duty. While officers across the country will remember those who have gone before them, Sydney police are heading to the Wall of Remembrance at the Domain for a wreath-laying ceremony. 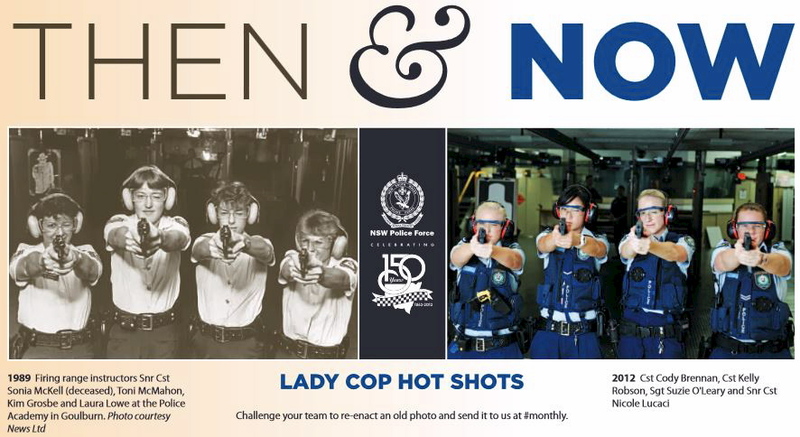 Since 1803, 249 officers have been killed in the line of duty throughout New South Wales by stabbings, shootings or accidents while conducting vehicle checks. Officers will also honour police whose careers have been cut short by illness. 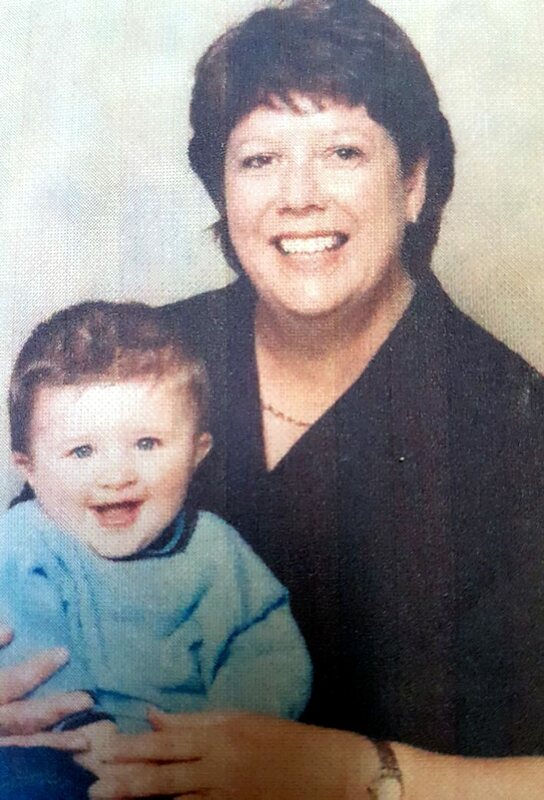 One of those is Sergeant Sonia McKell, who died of a brain aneurism in 2004, leaving behind a three-year-old son Jarrod. Jarrod, now six, will receive a $5,000 scholarship from the Police Commissioner Andrew Scipione as part of the commemorations. first time Australia competed at the 1987 World Baton Twirling Championships. She was a member of that team and always said that competing on the world stage was a highlight of her twirling career. From that year onwards Sonia involved herself in encouraging Australian athletes to compete at the world level knowing that by doing this we, as a country, could only improve our skills by utilising the experience and knowledge our athletes brought back. Throughout her twirling career Sonia took on the responsibilities of State President, State Head Judge, National Head Judge, Technical Advisor and between the years 1993 – 1998 and 1999 – 2004 the job of President of the Australian Baton Twirling Association. She was responsible for contracting coaches from USA, Japan, Italy and France. This was an ongoing commitment to expose the members to as much diverse twirling knowledge as possible. Sonia was the coach of the Australian team who represented Australia in Holland 2000, France 2001 and this year 2004. Her athletes miss her terribly but know that she will be watching them in Osaka Japan. 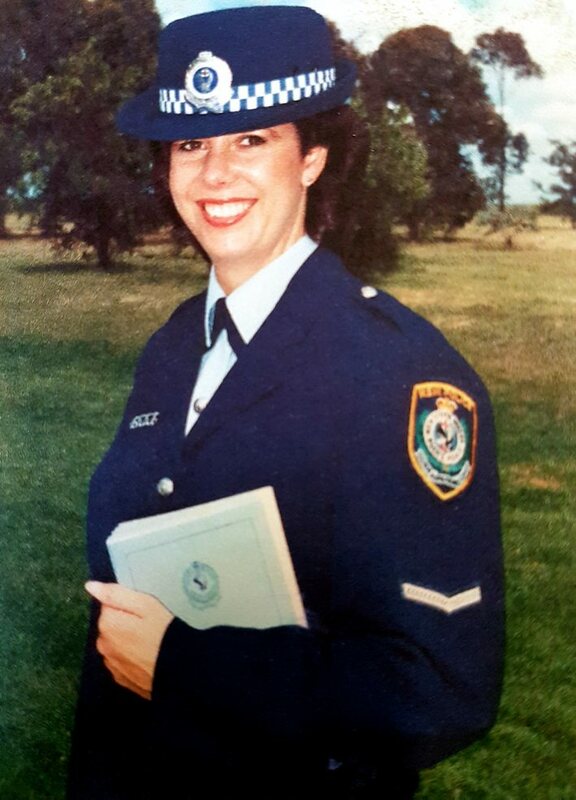 Sonia was a sergeant in the New South Wales police force and spent her working days at Marrickville Police Station. At her funeral the Police Commissioner of New South Wales described Sonia as a caring compassionate colleague whose ethics and morals were above reproach. This was Sonia. Her partner John and beautiful son Jarrad survive Sonia. The birth of Jarrad in 2001 seemed to complete Sonia’s life, the joy and happiness he brought both her and John seemed to make the last 2 years all the more special. The suddenness of Sonia’s passing was a shock to all who knew and loved her. But her kindness, compassion, knowledge and skills she has left with us will ensure she will always be a part of the Australian Baton Twirling Association. Sonia will remain in our hearts forever. Sonia was an integral part of the sport of baton twirling. She involved herself at the local club level, working up through to state, national and eventually the international level. She had a huge influence on the Australian Baton Twirling Association. Sonia started her twirling career as most of us around her age did as a Drum Majorette, evolving through the years along with the sport into a baton twirler. Her club, Illawarra, (a suburb of Sydney) were the team representatives the first time Australia competed at the 1987 World Baton Twirling Championships. She was a member of that team and always said that competing on the world stage was a highlight of her twirling career. From that year onwards, Sonia involved herself in encouraging Australian athletes to compete at the world level, knowing that by doing this, we as a country, could only improve our skills by utilising the experience and knowledge our athletes brought back. Throughout her twirling career Sonia took on the responsibilities of State President, State Head Judge, National Head Judge, Technical Advisor and between the years 1993-1998 and 1999-2004 the job of President of the Australian Baton Twirling Association. She was responsible for contracting coaches from USA, Japan, Italy and France. This was an ongoing commitment, to expose the members to as much diverse twirling knowledge as possible. Sonia was the coach of the Australian team who represented Australia in Holland 2000, France 2001 and this year 2004. Her athletes miss her terribly but know that she will be watching them in Osaka, Japan. Sonia was a sergeant in the New South Wales police force and spent her working days at Marrickville Police Station. At her funeral, the Police Commissioner of New South Wales described Sonia as a caring, compassionate colleague whose ethics and morals were above reproach. This was Sonia. Her partner John and beautiful son Jarrad survive Sonia. The birth of Jarrad in 2001 seemed to complete Sonia’s life, the joy and happiness he brought both her and John seemed to make the last 2 years all the more special. The suddenness of Sonia’s passing was a shock to all who knew and loved her. But her kindness, compassion, knowledge and skills she has left with us will ensure she will always be a part of the Australian Baton Twirling Association. Sonia will remain in our hearts forever.